This Semester we experimented with doing a Project Based Learning (PBL) module in select Gemora classes. 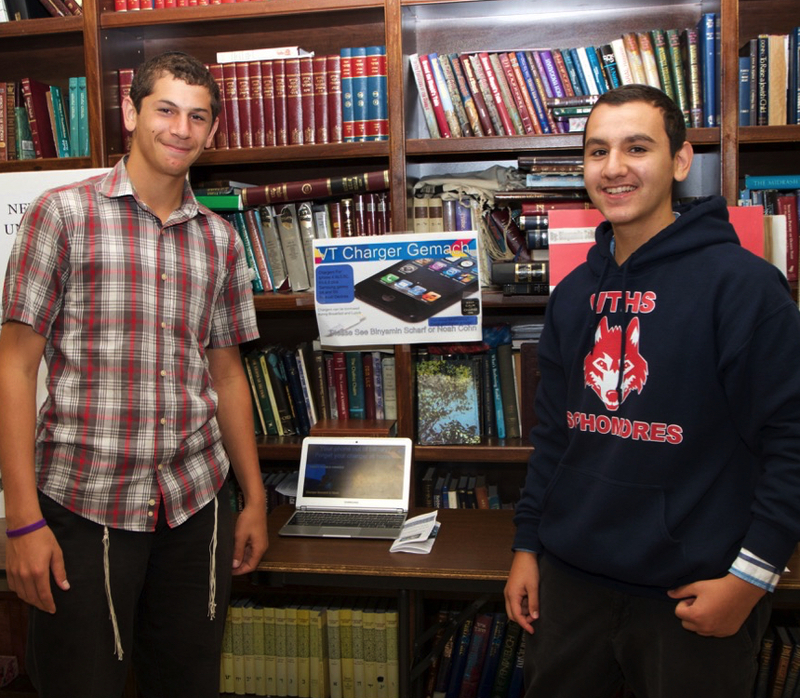 The Culmination was an exhibition (this past Sunday where we also celebrated a Siyum On Meseches Megillah as well as the Principals project) where different groups got to display their projects. The Gemora the boys were learning is in the eighth Perek in Bava Metziah. The topic in the beginning of the Perek discusses the parameters of a Shoel (a borrower) as well the Halachos of the borrower’s responsibilities. The boys were able to translate those Halachos into a Gmach (short for Gemilass Chasadim) project thereby taking their learning, making it into something practical as well as relevant. A special thank you goes to Rabbi’s Grama and Samuels for taking the initiative and bringing in twenty first century pedagogy into their classrooms. At the end of this weeks Parsha is the Parsha of Tzizis. Using PBL is a great way for students to learn the Halachos of Tzizis. PBL supplies the road markings for the journey of learning with a destination of having made their own pair of Tzizis. This hopefully would provide the relevancy that would inspire them to wear the Tzizis they created. Upon further reflection the actual Mitzvah itself integrates many components of PBL. The goal of wearing Tzizs Chazal tell us is to inspire Yiras Shomayim. When a person in enveloped in a Mitzvah which has a visual component to it – he is able as the Sefornu explains receive the protection that the Mitzvah of Tzizis provides by evoking the connection we have with HKBH. PBL doesn’t have to be something that is only done at school. I think that parents who want their child to acquire certain knowledge, experiences or character traits can all use the PBL approach to help their children achieve those goals. It may need some creativity but it is all doable as long as we are ready to work together with our children in completing the task. An example can be where we want our children to appreciate the value of family. The project can center around the driving question “What does it mean to be a family?”. The project can be creating a visual family tree and attaching meaningful quotes (the research) from each member on that tree. With a culmination of presenting it to the Patriach or Matriach of the family at a Simcha where the entire family is gathered.